Überprüft euren PC auf Malware und stellt sicher, dass euer System sauber ist! 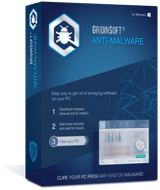 GridinSoft Anti-Malware 4.0.27 war am 8. Februar 2019! als Giveaway verfügbar! Die Entfernung von Viren ist nicht mehr das Hauptproblem eines Computerbesitzers. Wichtiger ist es, die gefährliche Präsenz von Trojanern, Flugzeugentführern und Botnetzen auf eurem PC zu beseitigen. 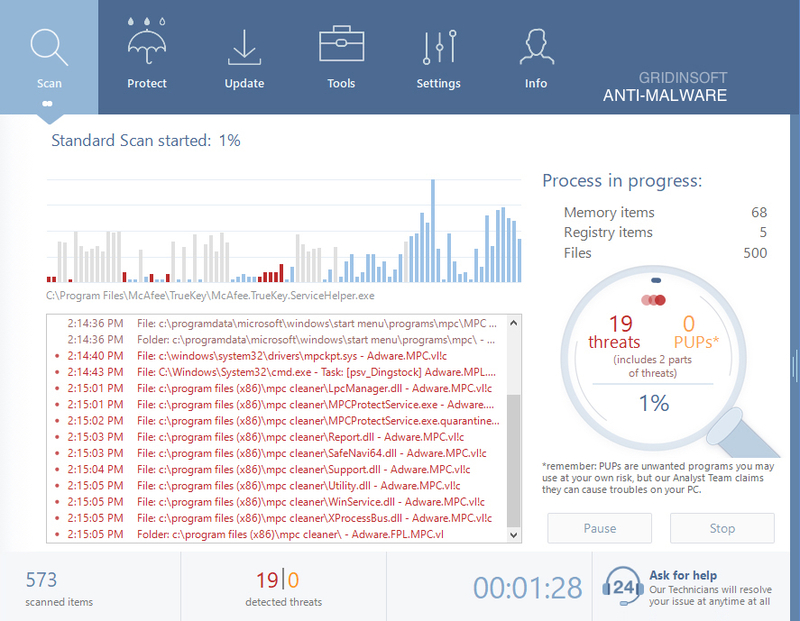 Gridinsoft Anti-Malware schützt euch jedes Mal, wenn ihr im Web surft. Hinweis: Das Programm bietet eine 6-monatige Lizenz für alle Emailadressen, die noch nie für Giveaway verwendet wurden. Falls ihr die letzte Version installiert habt, müsst ihr diese löschen, um dieses Angebot zu nutzen! 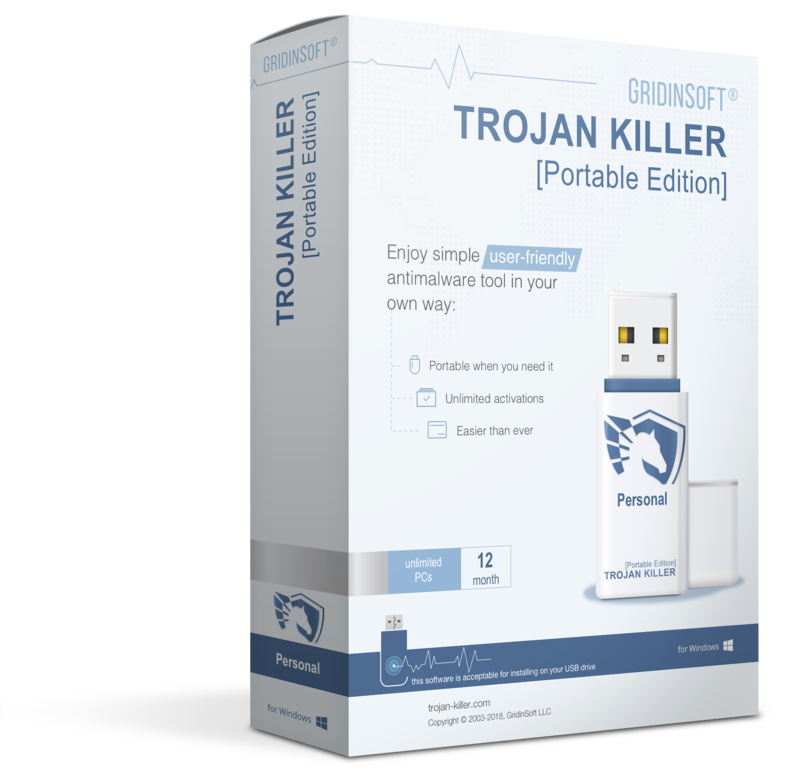 Trojan Killer ist ein effektives Anti-Malware-Tool für euren Memory Stick. Stellt sicher, dass ihr vor den Bedrohungen aus dem Internet sicher seid, egal wo ihr surft! 70% RABATT für GOTD-Benutzer. 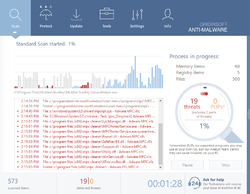 A free antivirus solution to protect your PC in real time. After running it, it immediately started a Scan and Update of the Threat List, where i cancelled the scan. The first important thing you might want to do is go into Settings and opt out of "Anonymously report statistics to GridinSoft team", optionally you can remove the "Start with Windows" checkbox to have it on-demand. Lastly you can opt-out of "Perform a scan on every program start", so you can choose from the scanning methods manually. After having setup everything i started a Quick Scan and oh boy, it detected a lot of stuff, for my taste too much. F.e. programs like Cheat Engine, dnSpy, FastVD, Screenpresso, Rytmik Player, games like Shonen Idle Z, The Keep, Undertale. 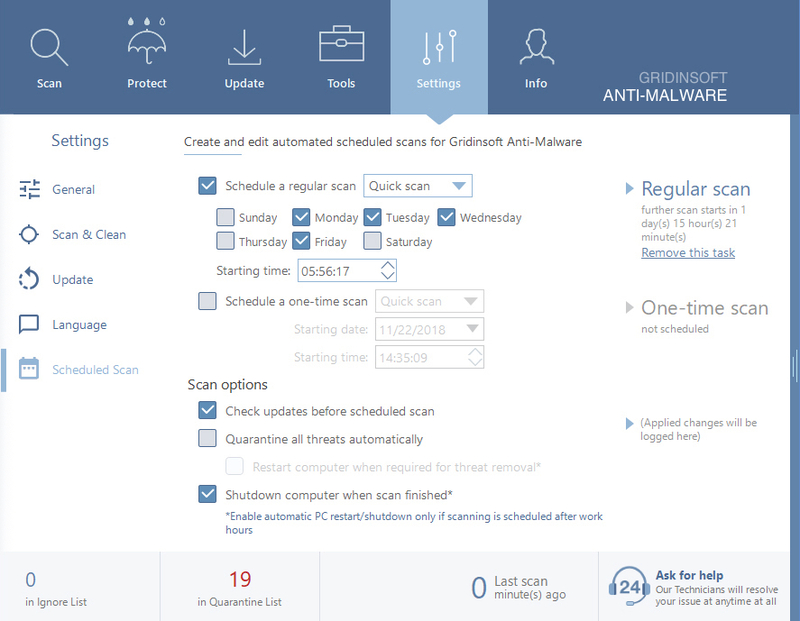 There is just too much it detects, especially when having enabled "Potentially Unwanted Programs and Riskware detection" on top in the settings. Anyway, the detection is kinda overdone, it detects a lot of legitimate programs and games in my case, which left me with a bunchload of detections i have to manually sift through. Sorry but i rather use the free version of Malwarebytes and get to the core of things in a much more trustworthy fashion. Installed and registered fine. After running it, it immediately started a Scan and Update of the Threat List, where i cancelled the scan. The first important thing you might want to do is go into Settings and opt out of "Anonymously report statistics to GridinSoft team", optionally you can remove the "Start with Windows" checkbox to have it on-demand. Lastly you can opt-out of "Perform a scan on every program start", so you can choose from the scanning methods manually. After having setup everything i started a Quick Scan and oh boy, it detected a lot of stuff, for my taste too much. F.e. programs like Cheat Engine, dnSpy, FastVD, Screenpresso, Rytmik Player, games like Shonen Idle Z, The Keep, Undertale. There is just too much it detects, especially when having enabled "Potentially Unwanted Programs and Riskware detection" on top in the settings. Anyway, the detection is kinda overdone, it detects a lot of legitimate programs and games in my case, which left me with a bunchload of detections i have to manually sift through. 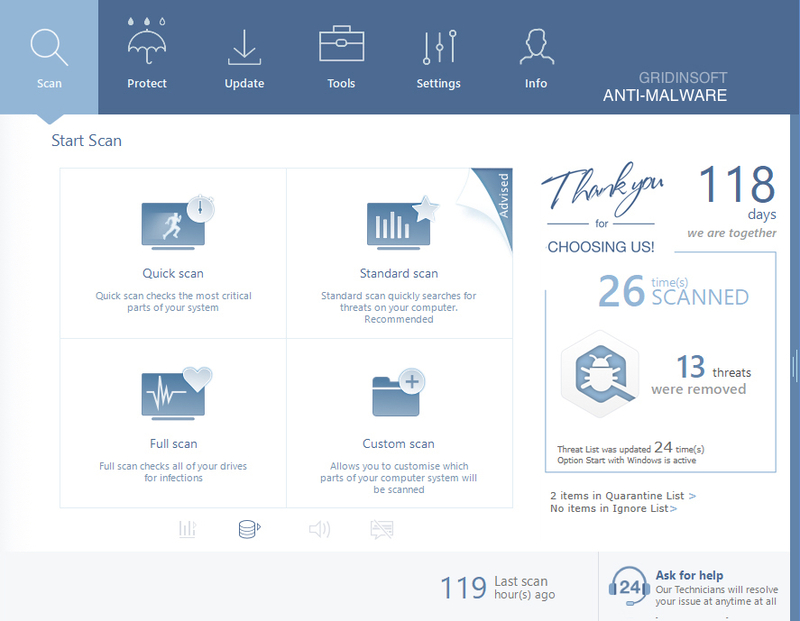 Sorry but i rather use the free version of Malwarebytes and get to the core of things in a much more trustworthy fashion. This program could easily break my Cheat Engine uninstaller, as it detected the uninstaller executable from the installation folder, so i wouldn't even be able to deinstall it anymore if i cleaned it as suggested, it also detected DLL files from some other programs, configuration files from programs and games or even some savegames from games and lots of registry keys. Just let this be a warning, you can and will easily break things if you don't know what you are doing or if you don't have a certain amount of experience, especially if too many good and bad guys are mixed together in a scan result. It may just be a DLL file, a executable, a registry entry or configuration file or even a savegame, programs and games may stop working altogether or they throw errors, you could lose ingame progress or even license registrations for games and programs. Thus, i can totally not recommend todays offer for novice users or button mashers, since scan results are too exaggerated. If you know how to separate the wheat from the chaff and have experience enough with tools like this, i'd say give it a go but don't expect it to be easy, you will spend a lot of time digging through the many results, no matter which scan method you use, that i can assure you. For novice users, i strongly suggest staying away from it. This program could easily break my Cheat Engine uninstaller, as it detected the uninstaller executable from the installation folder, so i wouldn't even be able to deinstall it anymore if i cleaned it as suggested, it also detected DLL files from some other programs, configuration files from programs and games or even some savegames from games and lots of registry keys. Just let this be a warning, you can and will easily break things if you don't know what you are doing or if you don't have a certain amount of experience, especially if too many good and bad guys are mixed together in a scan result. It may just be a DLL file, a executable, a registry entry or configuration file or even a savegame, programs and games may stop working altogether or they throw errors, you could lose ingame progress or even license registrations for games and programs. Thus, i can totally not recommend todays offer for novice users or button mashers, since scan results are too exaggerated. If you know how to separate the wheat from the chaff and have experience enough with tools like this, i'd say give it a go but don't expect it to be easy, you will spend a lot of time digging through the many results, no matter which scan method you use, that i can assure you. For novice users, i strongly suggest staying away from it. Installed and registered without problem. 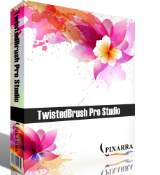 Be VERY CAREFUL with this program! 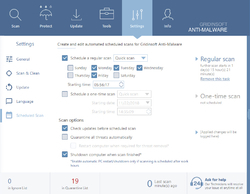 If you don't know what the 'found problems' are, do not let Gridinsoft make corrections! Make sure things that are not problems are unchecked! I had two startups that were 'suspicious'. I thought I had unchecked them but had not. Happily, I was able to restore both. mbam seems to do a better job plus I already have the old lifetime license with them. Using a different email address isn't really necessary, though. Note that everything after the plus (+) symbol is ignored by email services. so sending mail to example@mail.com and example+anything@mail.com will go to the same email account. You can register one email account multipule times using the + sign. It's great for seeing who is using your email to send spam or fraud emails to 3rd parties (done by a robot) as you'll see it in the emails message header. Anyone know what happens at end of 6 months? Does the program just stop? My experience thus far. I went in and turned of all the automatic stuff as suggested and ran complete scan, which took very long time, BTW. Says it found 310 items so I very gingerly hit clean, really expecting the worst and, guess what, the worst didn't happen, at least for the few programs I have tried so far. Did it really actually do anything? I will probably never know for certain because I thought my system was already clean. 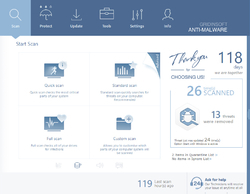 I already run Malware Bytes free, Bitdefender free and MS Defender, always free. Anyway, thanks for listening to an old man.